The hero of The Invisibility Cloak lives in contemporary Beijing—where everyone is doing their best to hustle up the ladder of success while shouldering an ever-growing burden of consumer goods—and he’s a loser. Well into his forties, he’s divorced (and still doting on his ex), childless, and living with his sister (her husband wants him out) in an apartment at the edge of town with a crack in the wall the wind from the north blows through while he gets by, just, by making customized old-fashioned amplifiers for the occasional rich audio-obsessive. He has contempt for his clients and contempt for himself. The only things he really likes are Beethoven and vintage speakers. Then an old friend tips him off about a special job—a little risky but just don’t ask too many questions—and can it really be that this hopeless loser wins? 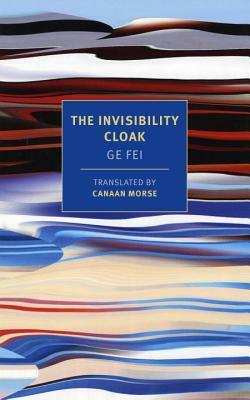 This provocative and seriously funny exercise in the social fantastic by the brilliantly original Ge Fei, one of China’s finest living writers, is among the most original works of fiction to come out of China in recent years. It is sure to appeal to readers of Haruki Murakami and other fabulists of contemporary irreality. Ge Fei is the pen name of Liu Yong. He is best known for his Jiangnan Trilogy, which includes the novels Renmian Taohua (Peach Blossom Beauty), Spring Ends in Jiangnan, and My Dream of the Mountain and River, and for which he received the 2015 Mao Dun Literature Prize. He teaches at Tsinghua University in Beijing. Canaan Morse is a translator, poet, and editor. He co-founded the literary quarterly Pathlight: New Chinese Writing, and has contributed translations of Chinese prose and poetry to The Kenyon Review, The Baffler, and other journals. He is currently editing two anthologies of Chinese literature and curating the Taiwanese poet Yang Xiaobin’s first collection of poetry in English translation. A hard and humorous look at corruption in Beijing, its dark humour is perfectly matched with the sharp social satire and enters the realm of the fantastic with great gusto.